Written by Circleville Herald on 14 May 2015. 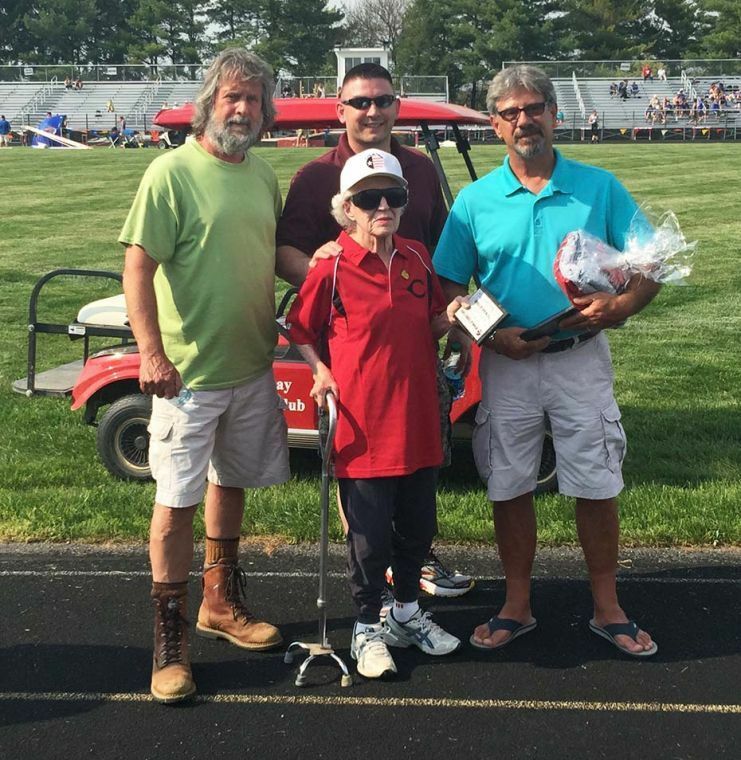 Circleville City Schools recognized and thanked the McGowan Family for their generous donation to the track facilities on Friday, May 8th, 2015 at the CHS Track Invitational. In honor of their continued support, the facility will now be known as The McGowan Family Track. Pictured in front row is Jean McGowan. Back row, from left, are Joe McGowan, son; Jason McGowan, grandson; Bill McGowan, son. Not pictured is Matt McGowan, son.